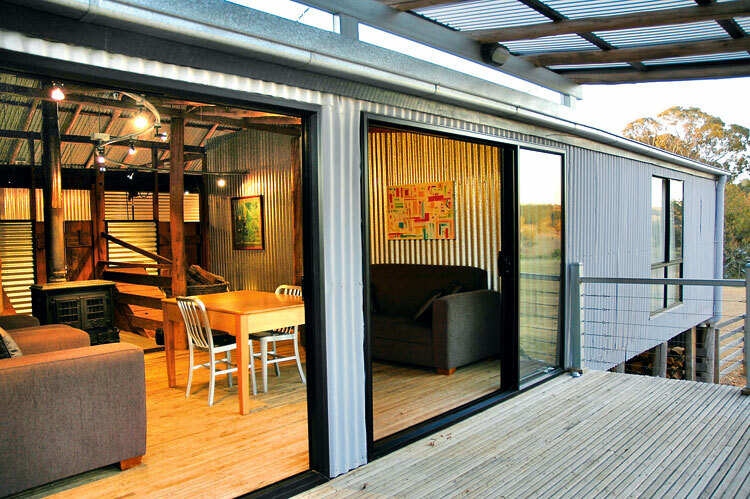 Who would have thought that sleeping in a 100-year-old corrugated iron shearing shed could be so comfortable? But this isn’t your typical freezing cold farm shed – guests here are kept warm by a wood-burning fire, mohair throw rugs and electric blankets. It’s not run-down-rustic either, despite its rural location in the charming foothills of Mount Canobolas, 9km west of Orange. The shed has been lovingly restored into five guest suites and it’s been refurbished with a designer aesthetic – even the old wool-sorting table has been reborn into a glass-topped communal breakfast table. SOMETHING SPECIAL: Midweek you can enjoy continental breakfasts that showcase seasonal local produce, but it’s worth coming on a weekend for their legendary three-course cooked breakfasts. HOW MUCH? $210 per couple per night midweek; $240 per couple per night Friday to Sunday. WHILE YOU’RE HERE: Tour the wineries; take a class at the Orange Regional Cooking School; check out the farmers’ markets (second Saturday of the month); or go during Orange Frost Fest (July 29-August 11) for arts and music or during Wine Week (October 21-30) for the obvious! CONTACT: Helen and Andrew Napier. 91 Heifer Station Lane, Borenore via Orange. Halfway between Sydney and Brisbane (just over five hours’ drive from each), in the gorgeous, green Bellinger Valley, you’ll find this Tuscan-style villa. The ochre-coloured villa is set in 13 acres of Mediterranean gardens and houses just three guest suites. Each suite has the requisite open log fire and French doors that open onto a private balcony, making this a perfect romantic winter escape. Breakfasts feature fresh, seasonal local produce and are served on an outdoor terrace in summer and in front of an open fire in the formal dining room during winter. SOMETHING SPECIAL: Free wi-fi! (Big hotels take note; if B&Bs can do it, so can you.) Candlelit dinners available by prior arrangement. Owner Fritz is pretty proud of his coffee machine, and we have it on good authority that he can use it. HOW MUCH? From $235 per room per night, which includes not only breakfast, but also afternoon tea with homemade cakes. WHILE YOU’RE HERE: Go on Gambaari Tours’ Aboriginal culture tour – call (02) 6655 5195 for more details; play a round at Bellingen Golf Club; hike in Dorrigo National Park. We would say go to the Bellingen Jazz Festival, but sadly that’s been cancelled this year due to lack of funding. CONTACT: Suzanne and Fritz Dimmlich. This National Trust-listed terrace is in the heart of genteel Woollahra in Sydney’s Eastern Suburbs, equally handy for upmarket shops and cafés and the open spaces of Centennial Park. 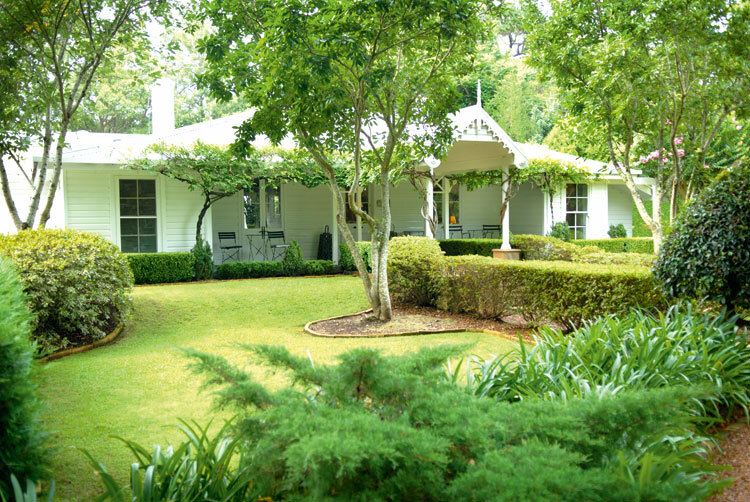 With its three French-flavoured guest rooms and antique furnishings this cosy house offers a peaceful, leafy retreat with easy access to Sydney’s main attractions. SOMETHING SPECIAL: The much-praised breakfasts here can be served alfresco, weather allowing. HOW MUCH? $180-$260 per room per night. WHILE YOU’RE HERE: On Saturdays, take a stroll down Oxford Street to Paddington Markets, with their focus on Australian crafts; Sydney Football Stadium and the SCG are also in walking distance; hire a bike (or a horse) for a ride round Centennial Park. If you’re wanting a country weekend away without your car, Broken Hill makes a fine train journey. The Miner’s Arms is a short walk from the station and has all the period charm you’d want from such a historic region. Local pubs, shops and restaurants are all within walking distance, too. There are four suites on site, each with ensuite bathrooms and high-speed broadband. Cooked breakfasts are served daily between 7.30 and 9.30am. SOMETHING SPECIAL: The heritage-listed Miner’s Arms began life as a hotel in 1888. Its original bar and lounge area is still a great place for an evening drink, with loads of local history and memorabilia to peruse. HOW MUCH? $150 per room per night. Special deals for longer stays. WHILE YOU’RE HERE: See the outdoor art gallery, the Sculpture Symposium, at sunset (this came in at #97 on our “100 Thing to Do Before You Die” list last issue); visit White’s Mineral Art Gallery and Mining Museum, the Geo Centre and also the Bruce Langford Visitor Centre, the home base of the Royal Flying Doctor Service. CONTACT: Marjorie and Michael Raetz. 82 Crystal Street, Broken Hill. Designed especially for couples, each of the three cottages here has its own two-person spa and log fire (marshmallows provided for toasting). The accommodation is tucked away in a natural bush setting on the Colo River and there’s really no reason to leave – you can have breakfast and a three-course dinner in your room if you like. 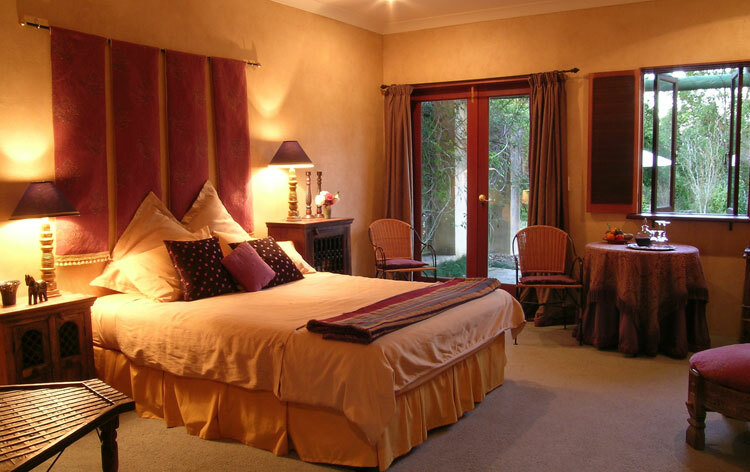 SOMETHING SPECIAL: Ossian Hall was the Gold Award Winner for Hosted Accommodation at the 2010 NSW Tourism Awards. Among many unique offerings, there’s a horse and carriage available for weddings and romantic weekends away (package details below). HOW MUCH? Basic overnight stays cost from $215 per couple per night midweek. Romantic Interlude packages are available from $559 per couple per night midweek, which includes a horse-and-carriage tour, cheese platter and champagne on arrival, a three-course meal or seafood platter, breakfast hamper and use of all amenities including kayaks, mountain bikes and fishing equipment. WHILE YOU’RE HERE: Hike through one of the many Hawkesbury Valley national parks; visit the Saturday morning food and bric-a-brac markets at Bilpin; drive the scenic Bells Line of Road, stopping to take in whatever catches your fancy; take a motor-trike tour. CONTACT: Diane and Jim Swaisland. 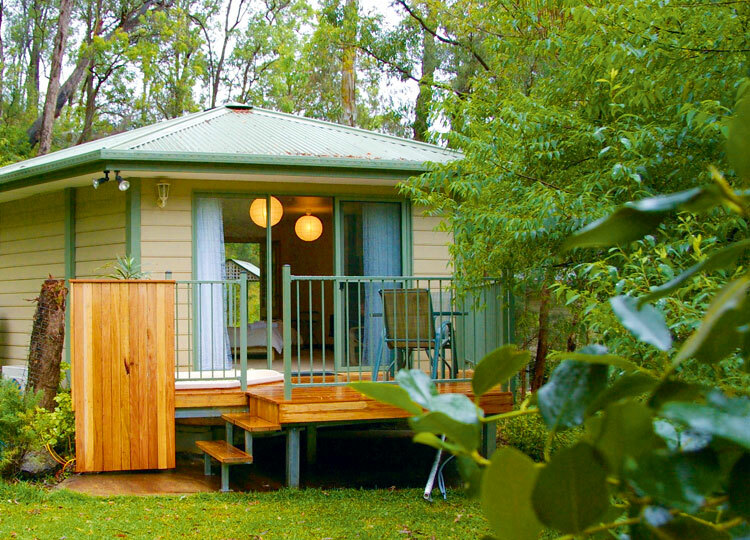 Woodbyne is a Hamptons-style hotel three hours’ drive south of Sydney and 3km south of Berry. It’s bigger than your average B&B with 11 guest rooms, and Woodbyne offers more than your average B&B in other respects too, mostly thanks to its 3.5 acres of formal gardens surrounded by white picket fences. There is a reflection pool, an avenue of Manchurian pear trees, magnolias, manicured hedgerows, parterre garden and a communal courtyard with plunge pool, all of which contribute to its popularity as a wedding venue. Interiors are tastefully decorated in crisp shades of white and cream, with dramatic full-length curtains and sash windows looking out to the verdant gardens. SOMETHING SPECIAL: Apparently, stays here are all about the breakfast, which is laid out each morning in a 19th-century schoolhouse building. While every B&B establishment in this story puts on a special brekky spread, the guestbook at Woodbyne is thick with praise for a particular treat – a croissant pudding made with fresh berries. midweek; $330 Friday and Saturday nights; $295 on Sundays. WHILE YOU’RE HERE: On Sundays, artist Arthur Boyd’s home and studio at Bundanon is open to the public; take the 4WD track to Point Perpendicular lighthouse; drive to Kangaroo Valley; Berry town fair is on the first Sunday of the month. CONTACT: Annette and Jeff Moore. O’Keeffes Lane, Jaspers Brush via Berry.